If you’re in the market for new contact lenses and you’re located in or around Peabody, MA, look no further than Parrelli Optical. Our talented team of optometrists and other specialists is ready to assist you. 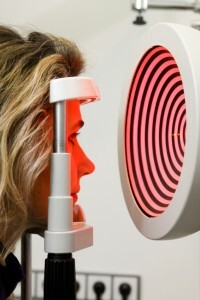 With a thorough, comprehensive eye exam, we will determine the prescription that is right for you. We’ll then sit down with you to discuss the available options. Today, there are more options for contact lenses than ever. Are gas-permeable lenses right for you? Should you give bifocal lenses a try? Is your prescription compatible with disposable contact lenses? The optometrists at Parrelli Optical are happy to address these and any other questions that you may have. Our commitment to your optical health doesn’t end when you walk out the door, either. If you ever need help with your contact lenses, just give us a call or stop by. If you value your vision, you shouldn’t trust it to just anyone. In Peabody and the surrounding area, you won’t find better contact lenses and services than you will at Parrelli Optical. Whether you’re due for a routine eye exam or would like to try contact lenses for the first time, we’re happy to help. Parrelli Optical is the trusted source for contact lenses in Peabody MA, so schedule an appointment today.